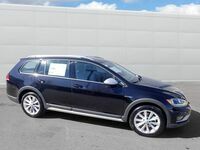 Whether you’re cruising fresh pavement or blazing your very own dirt trail in the woods, the 2017 Volkswagen Golf Alltrack is the perfect partner for adventure. 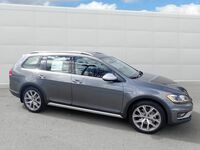 Featuring 4MOTION® all-wheel drive, Hill Descent Control, an Off-Road Mode button, and extra ground clearance, this wagon was made to go the distance safely and securely. Add in a 1.8L TSI engine with available Paddle Shifters and you'll be powering through a variety of different terrains in no time. When shopping for a vehicle that's primary job is to barrel through the outdoors, you may be thinking you will have to compromise in the style department. Thankfully, the new 2017 Golf Alltrack is as good-looking as it is rugged. 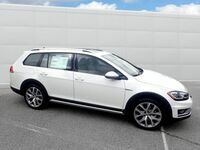 A sleek and unique bumper design along with exterior cladding to help weather any storm make the Golf Alltrack a sight for sore eyes, while additional available extras like Bi-Xenon headlights, silver roof rails, 18" alloy wheels, and a panoramic sunroof give you all the exterior features you could want and need. Allowing you to go down steep grades or slippery slopes, Volkswagen's Hill Descent Control (active when in Off-Road Mode) will sense terrain changes and automatically brake for you while going downhill, keeping your ride at a safe, constant speed. What's an adventure if you can't bring all your gear? 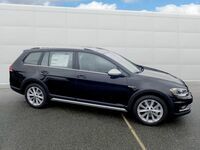 The new Golf Alltrack features a folding rear seat with release levers for easy loading and unloading and plenty of space for even the most awkwardly-shaped cargo. Never be without your smartphone again! 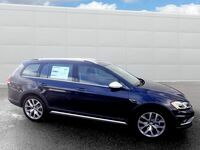 VW Car-Net App-Connect allows you to sync your compatible smartphone with Apple CarPlay™, Android Auto™, or MirrorLink® to use select apps on the touchscreen display of your Alltrack. 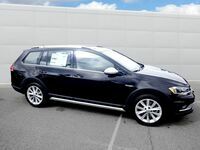 If you would like to see the 2017 Volkswagen Golf Alltrack in person, be sure to stop by Dirito Brothers Volkswagen located in Walnut Creek, CA for a test drive today!